This post is almost 5 years in the making. 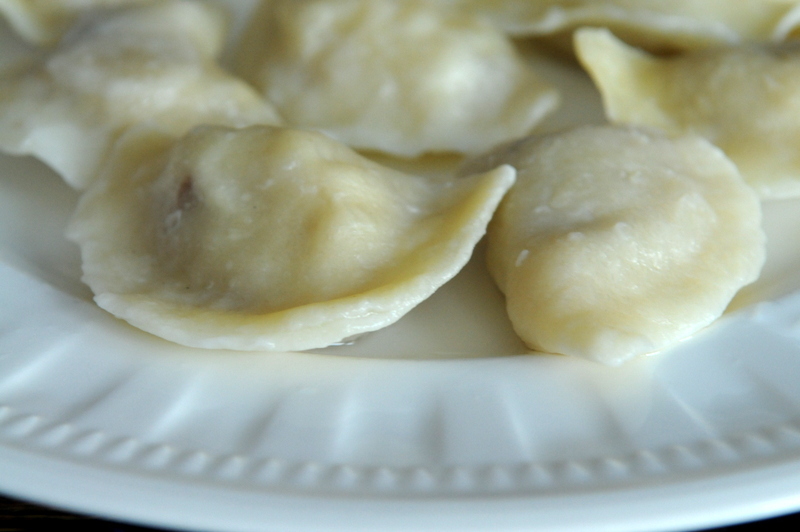 Before there were tamale and mustard tasting parties, pierogi parties have been a long tradition. 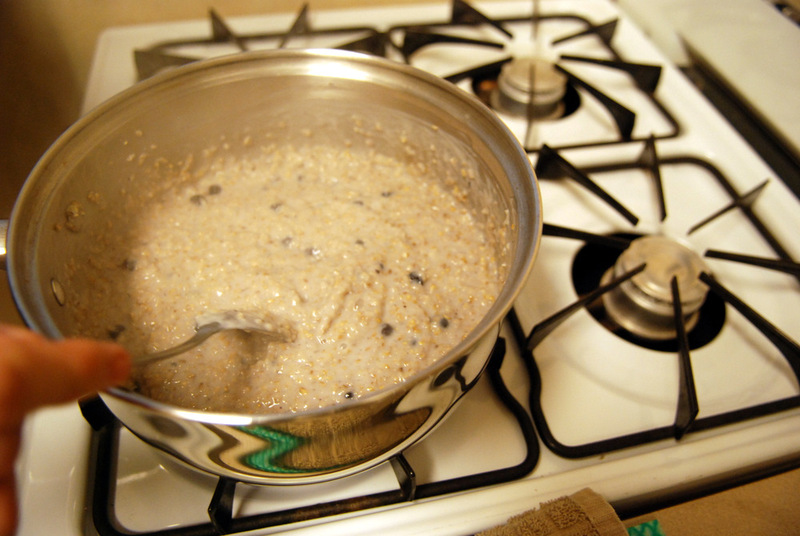 One reason I became interested in cooking and blogging was to learn and share our family recipes. 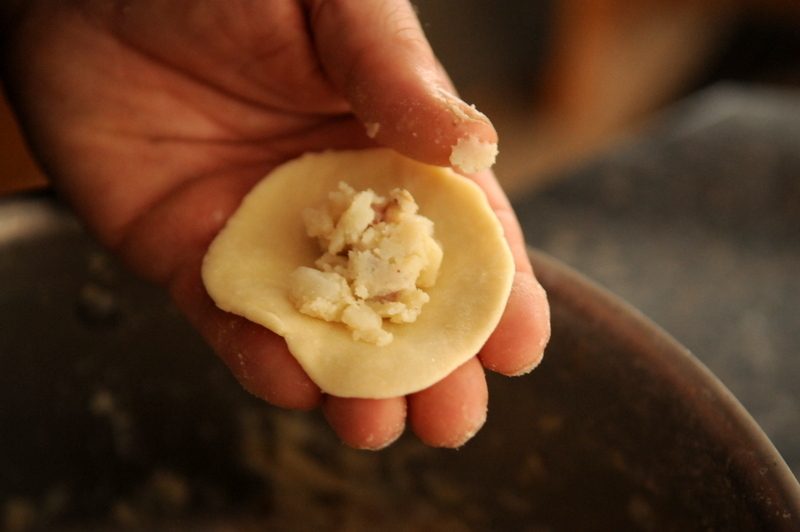 Hand’s down, my most popular post is How to Make Authentic German Apfelstrudel and I photographed this almost 5 years ago, wanting share our family’s favourite Ukrainian food: perogies. 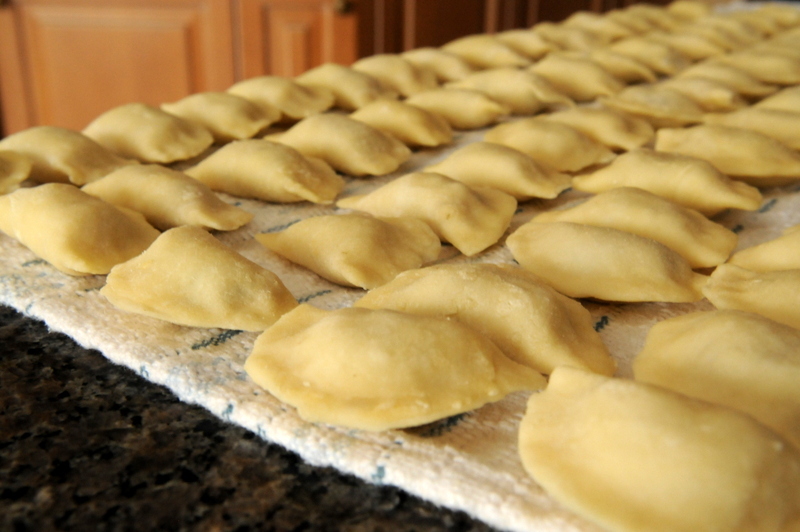 This is how my family makes perogies. They are not vegan although my Dad said he might try Isa’s vegan recipe next time. 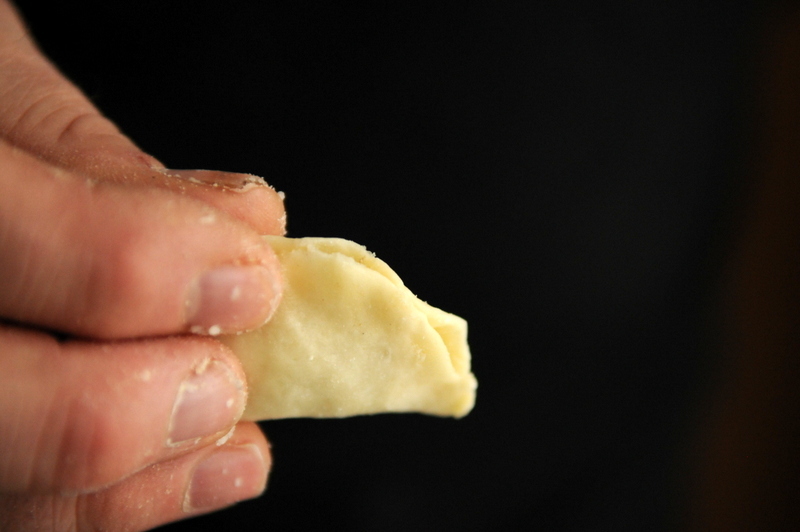 I did not know I could be competitive about perogies until I was invited to a perogie party when I first met Rob. 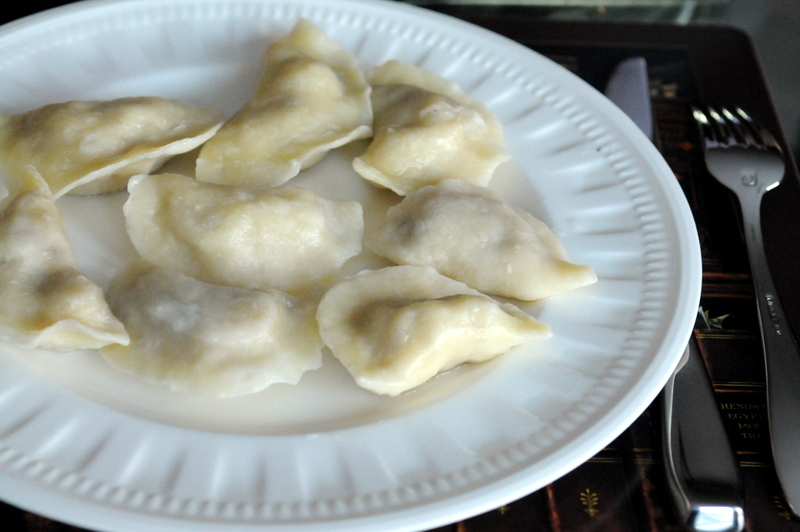 As his family is Polish, he was obviously making them differently (most notably his family uses cheese and uses butter and a special pierogi flour). 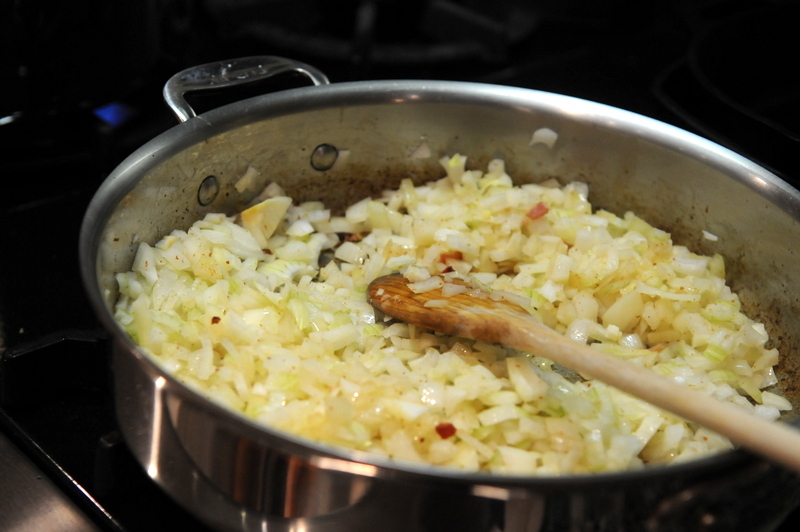 I am partial to our methods and simple recipe and encourage you to follow along. 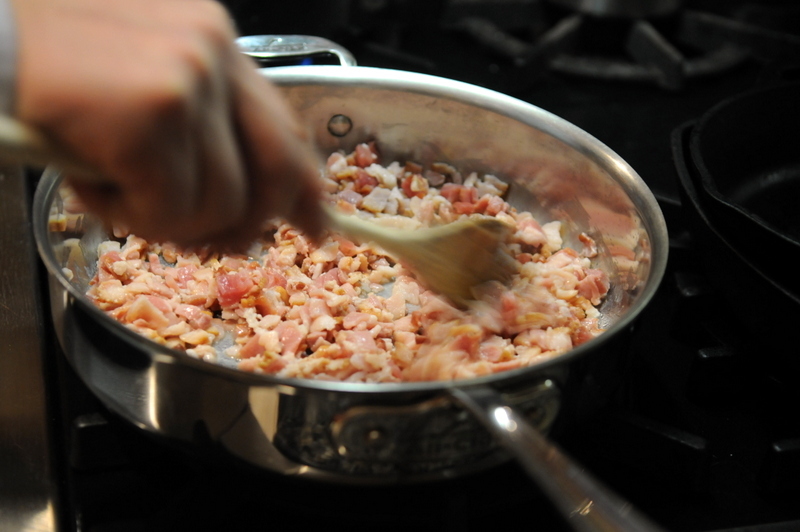 Fry your bacon. Remove and drain. 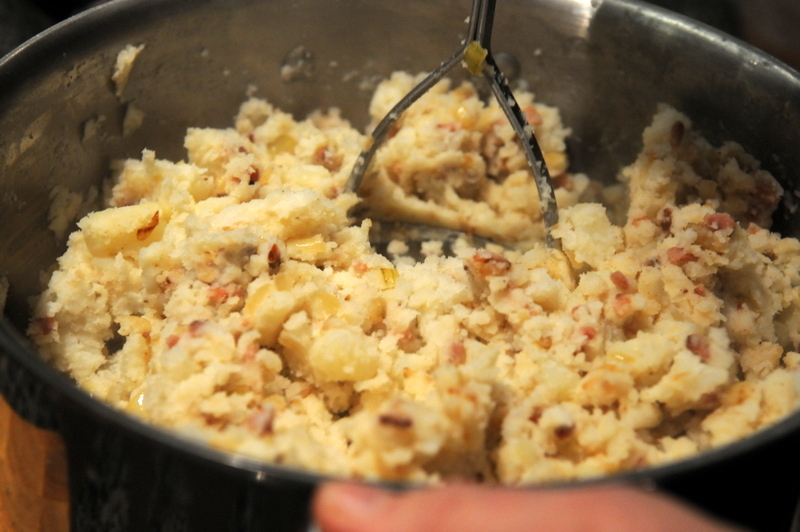 Mash the potatoes with the bacon and onions. 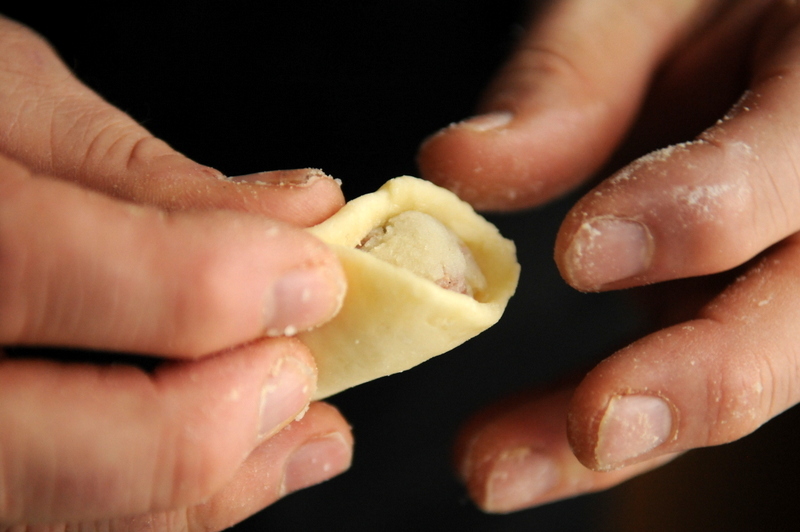 The filling can be then set aside until needed. 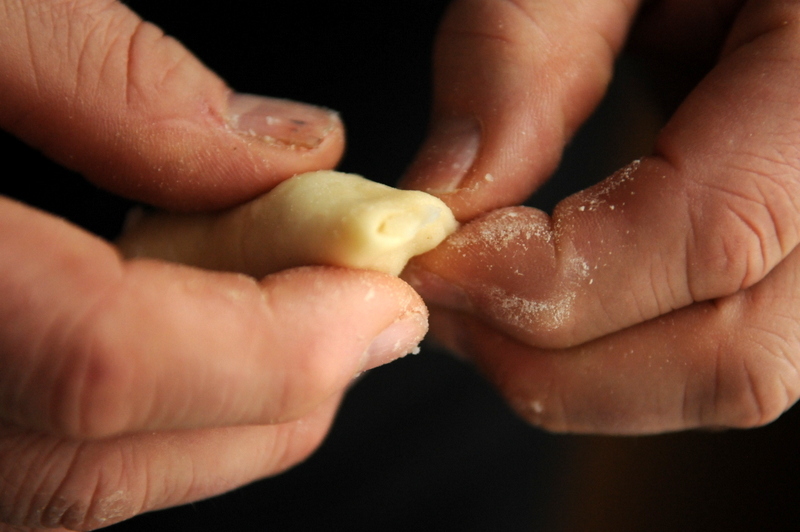 The dough is a simple combination of flour, eggs, a dash of oil and water. 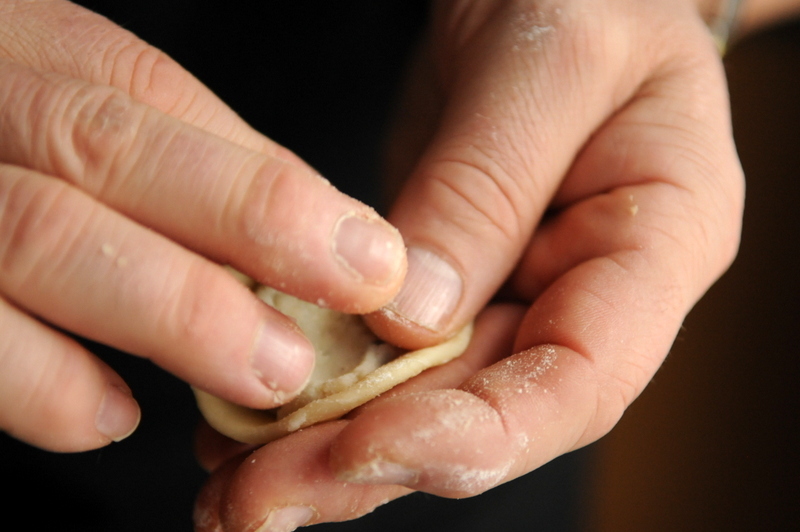 My Dad is adamant that we must roll out each pierogi dough individually, because that was how Baba did it. 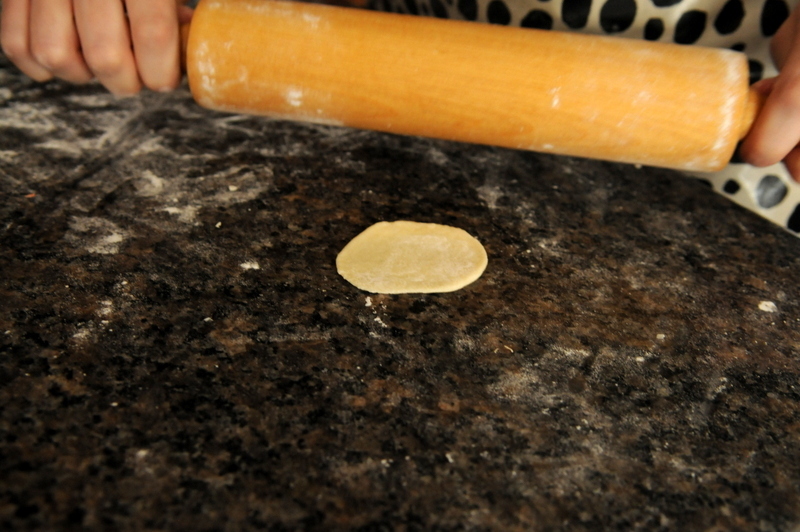 Rob’s technique is to roll out the entire dough and use a metal can (as a cookie cutter) for identical shapes. 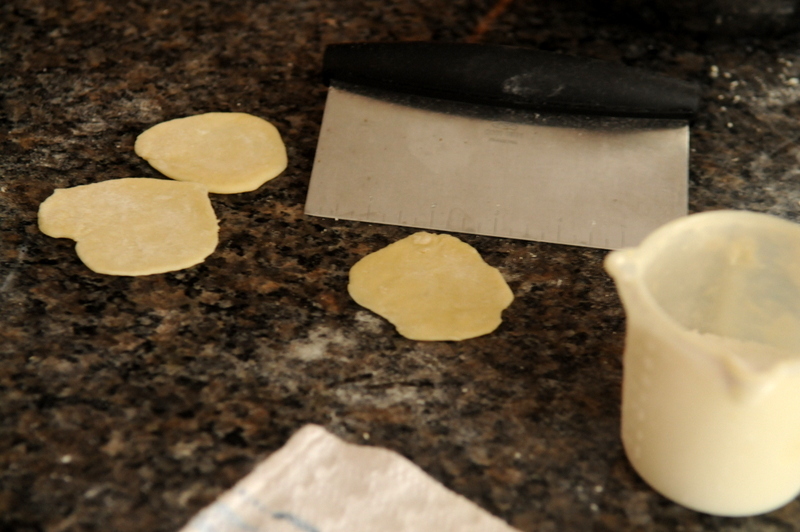 In any case, we rolled them out until very thin. Then add some more and centre it. 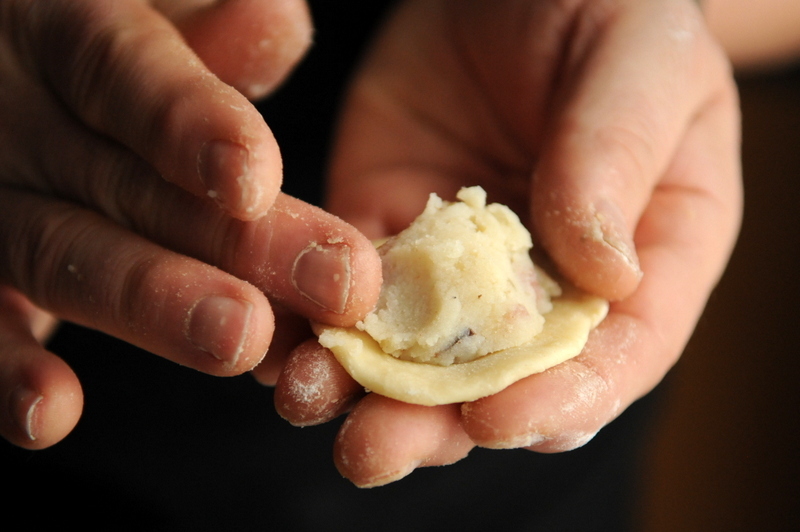 Stretch the dough so it you can pull it overtop the pierogi. Pinch the tops so it stays shut. Until it is sealed on one side, then seal the second half. 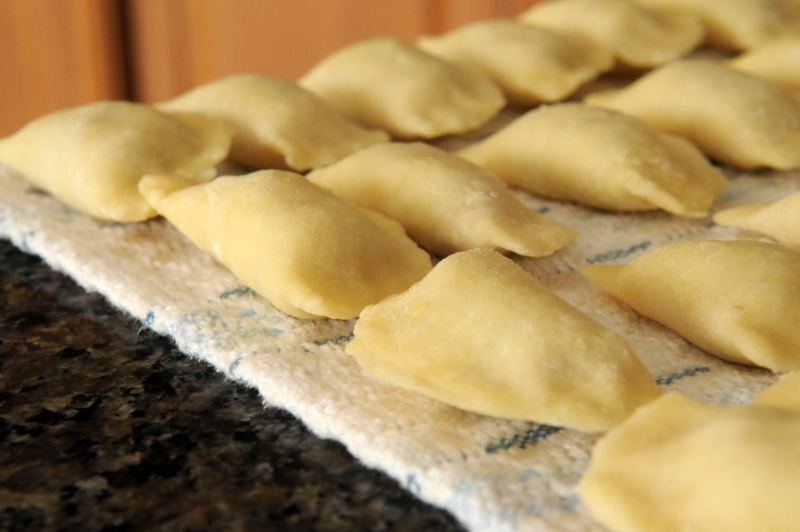 As you make them, place them on a towel and cover with another damp towel so they do not dry out. When you get going, you will make a lot. This is what we had made during the second day. 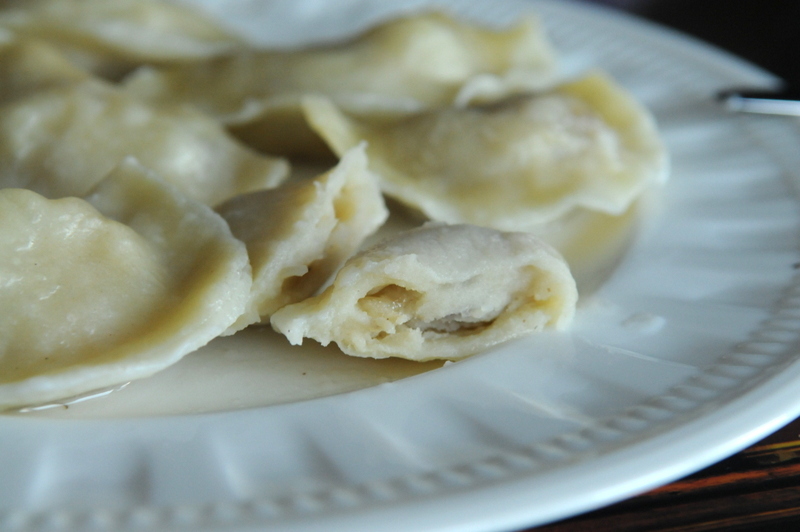 Fresh perogies are best boiled and served simply with sour cream. 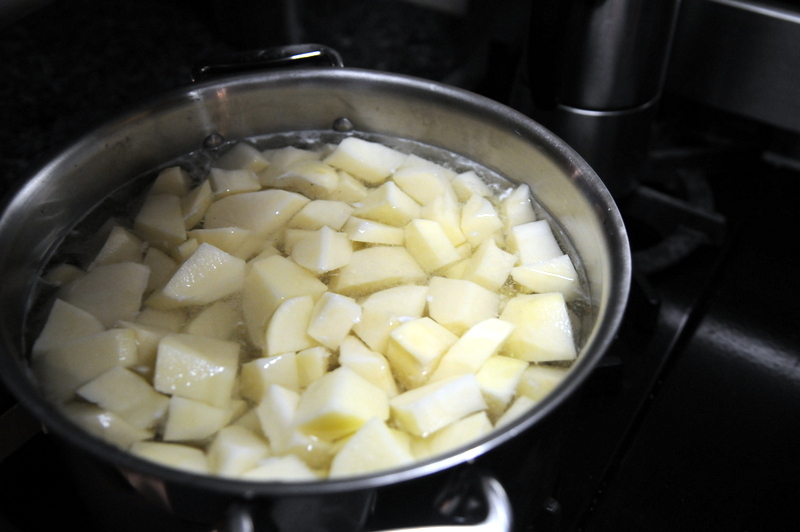 You can freeze them after boiling them. If you prefer videos, this one is pretty good although slightly different than our technique. 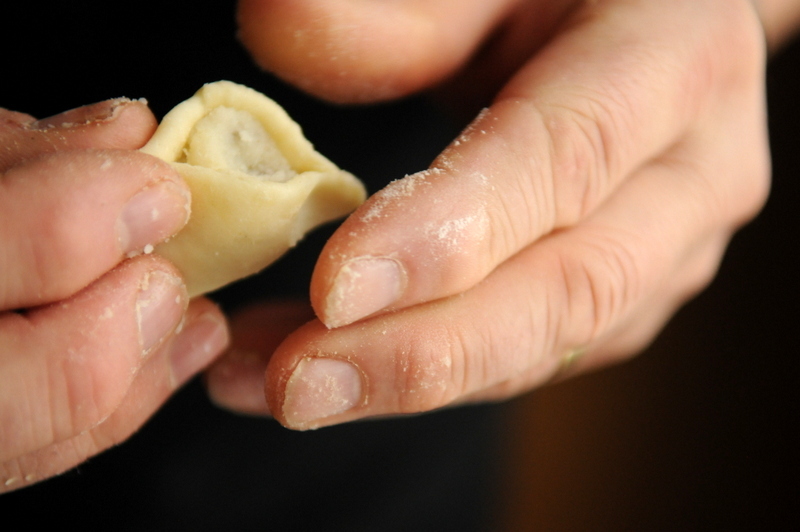 If nothing else, I hope you like the photos of my Dad’s fingers making the perogies. I like the lighting and detail and feel it captures a lot of character. 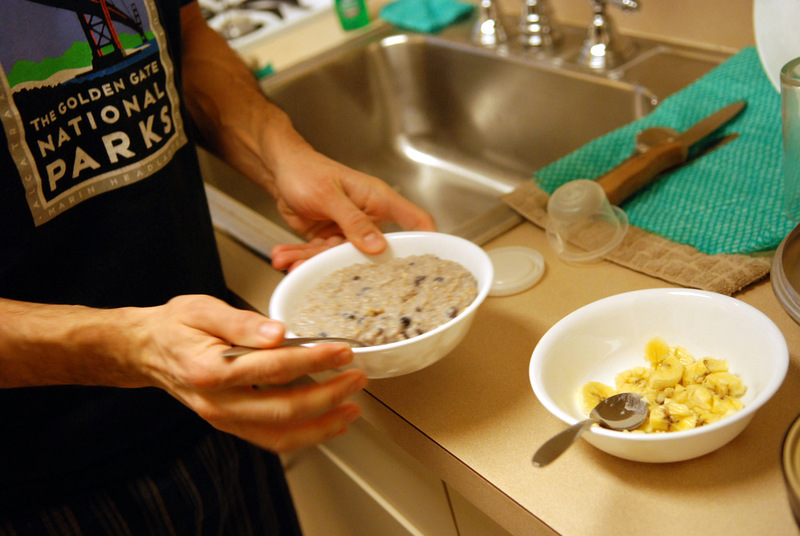 Are there any family recipes you truly cherish? 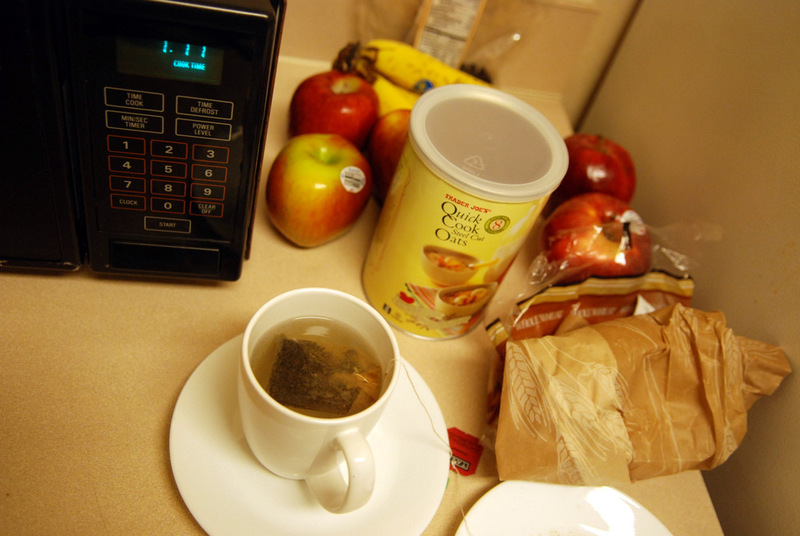 I love having a food blog because it chronicles what I eat. And so I know this to be true. This is monumental: I made my second meat dish since I started the blog! (The first being sinfully delicious German beef rolls). 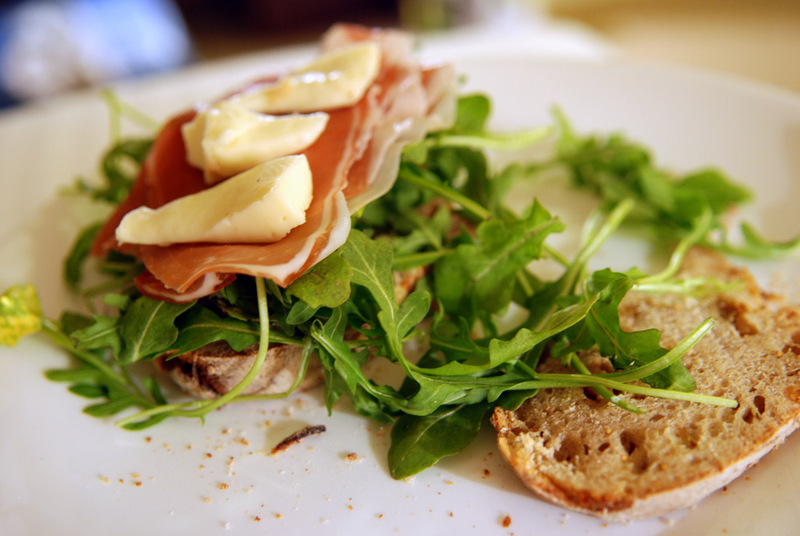 I am not vegetarian, but mainly prepare vegetarian dishes at home. I love fish, so that definitely prevents me from becoming a vegetarian. I have been going through many Middle Eastern cookbooks and food blogs, and was itching to make a tagine. Slow-simmered meat with savoury ingredients sounded really good and I have yet to come across a good vegetarian alternative yet. 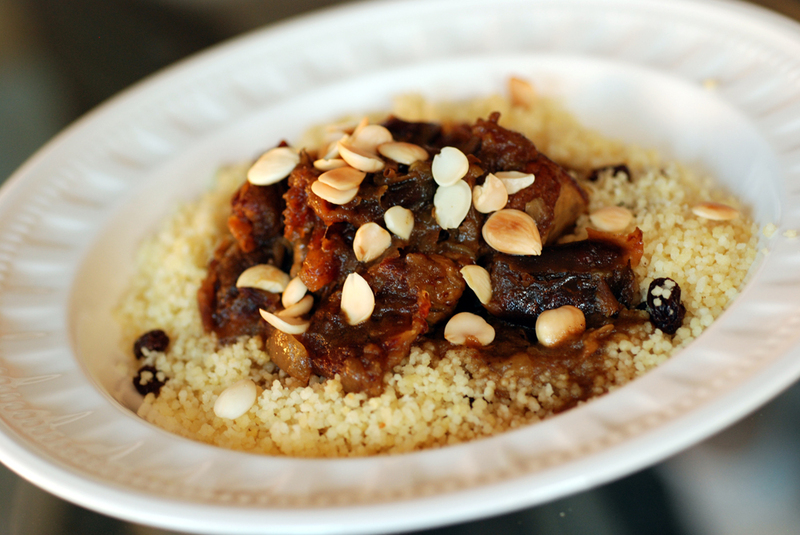 Claudia Roden’s Moroccan Lamb Tagine with Dates and Almonds screamed out at me. “Make me!”, it said. I obviously have a thing or two to learn about cooking meat, though. So what does boned mean? I figured deboned meant meat without a bone, and boned meant with a bone. When I went to buy 3 lb of boned lamb shoulder for the tagine, I bought bone-in lamb shoulder. That’s what the recipe says, right? Well, when I came home, my mom was not pleased. It was $18 but that wasn’t what displeased her. Boned lamb means WITHOUT bones. Gah! Thankfully she helped rid the excess fat and bone so it was ready for the tagine. After nearly 2 hours of simmering and sputtering, sometimes being watched, oftentimes not, we were able to enjoy this succulent lamb tagine. It was wonderful. The lamb was melt-in-your-mouth and the cinnamon, honey and dates made a delicious sweet and savoury sauce. Roasted almonds add the finishing crunch. As a side to the tagine, we served couscous. But this wasn’t any couscous. I always thought you made couscous by adding boiling water, covering for 10 minutes and then fluffing it with a fork. I always found it bland and dry, so I was hoping to spruce things up a bit. 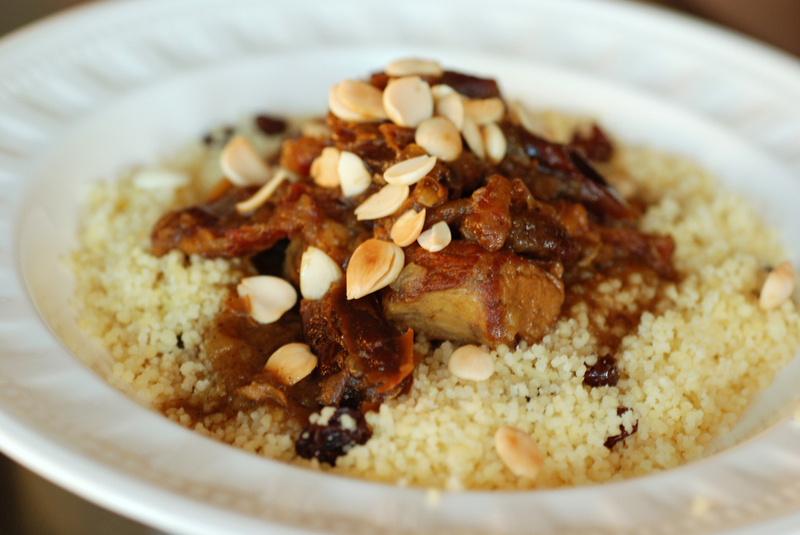 I noticed Roden had a different way of preparing basic couscous, including a 15-20 minute bake in the oven, and when I stumbled upon a spiced couscous side at Confessions of a Cardamom Addict, I also added in cinnamon and raisins to the mixture. It was definitely not bland and dry. It was mighty tasty. Together, we had a winning combo. This is my submission to Presto Pasta Nights, hosted by Siri at Siri’s Corner this week, and to this week’s BSI with couscous. I was thankful to be able to visit my family over the Thanksgiving weekend. Any weekend we can come together as a family is a time to celebrate, but an extra day to stay certainly helps. My mom asks what we want to eat, and there is usually no hesitation because I always ask for the same dish: Rouladen. Rouladen is a traditional southern German dish that is usually served at special occasions at our household (by request!). Succulent pieces of beef filled with only the tastiest of ingredients: pickles, onions, bacon and mustard. The roll is then smothered in a red wine sauce. It is no wonder this is such a popular dish. I wasn’t expecting to do much cooking this weekend, as some people don’t really like to share their kitchen (ah, the horrors of strudel making on Christmas Day), but we were invited to learn the art of making rouladen. 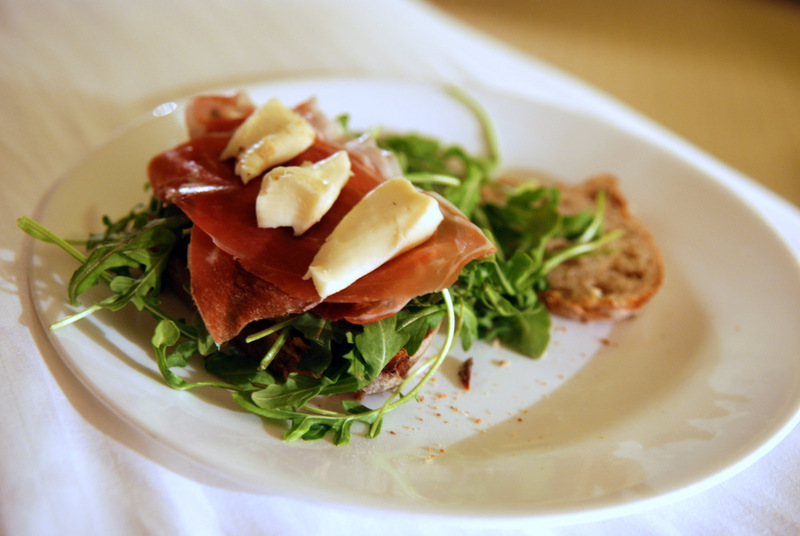 There is nothing better at bringing the family together than passing culinary secrets from one generation to another.